Since its release the Google Assistant has made it quite simple for users with modern Android devices to access any information on the move. You now just need to vocalize the query and the AI-powered assistant is all set to help you out. Now, the smarts of the Google Assistant are being extended to even more devices with an upcoming update. In an official blog post, the search giant today addressed the gap in the availability of the Google Assistant to all Android users. It added that all Android tablets running Android 7.0 Nougat and 6.0 Marshmallow, along with phones running Android 5.0 Lollipop will be receiving the Google Assistant in the coming weeks. The Assistant is not baked into the launcher, in this case, and you will need to tap the Google Assistant icon on your homescreen to ask it about the weather, news or whatever your query may be. For tablets running Android 6.0 Marshmallow or higher, the Google Assistant is going to become available for users who set their language to English in the United States. Whereas the rollout of the same on Android Lollipop-powered phones has already begun in the U.S, UK, India, Australia, Canada and Singapore for users who’ve set their language set to English, as well as Spanish in the U.S. Users in Italy, Japan, Germany, Brazil and Korea will also receive the update in the coming days. This is a much-awaited and significant decision because Google is well-aware of the glaring fragmentation problem within the Android ecosystem. 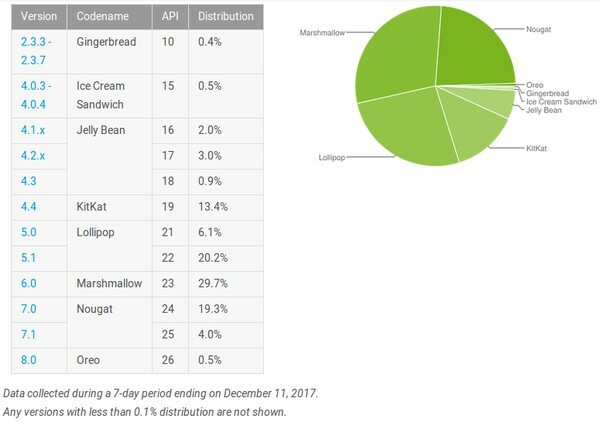 Android 8.0 Oreo, the latest flavor of Google’s mobile OS was released around 5 months ago but, it has only been adopted by 0.5% users. Android 5.0 Lollipop, on the other hand, still occupies a much larger 26 % chunk of the ecosystem. So, if you have an old Nexus 7 or Nexus 9 just lying around, it is about to become a whole lot useful once again. Are you excited to use the Google Assistant on your tablet? Do let us know in the comments down below.